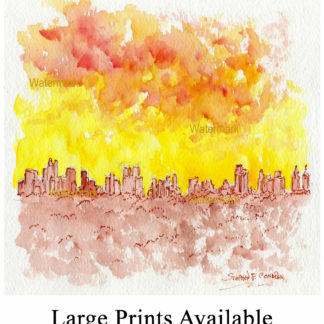 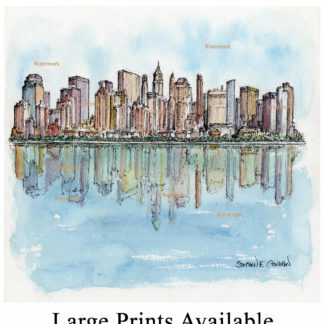 Manhattan skyline #842A pen & ink watercolor cityscape painting, which is for sale here, at discount with prints by artist Stephen F. Condren, SAIC, of Condren Galleries, a Fine Arts Gallery, offering JPEG & PDF prints. 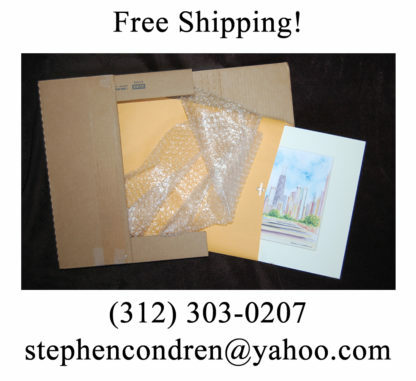 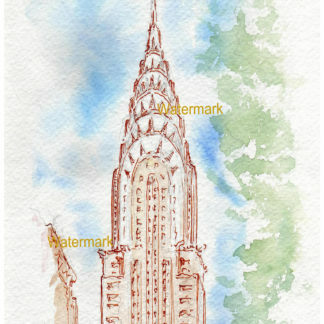 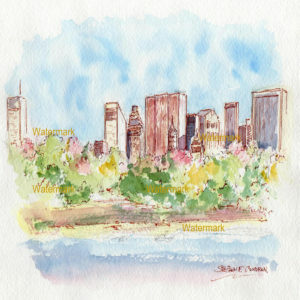 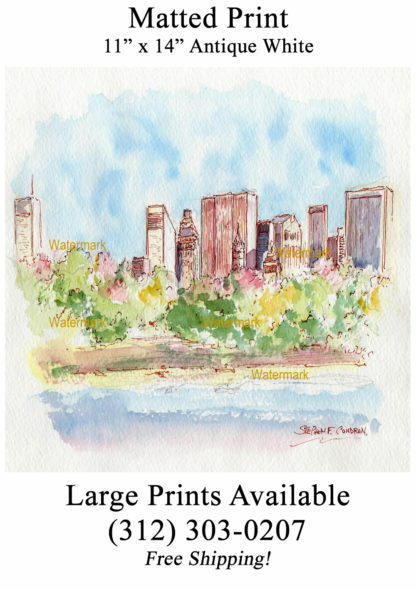 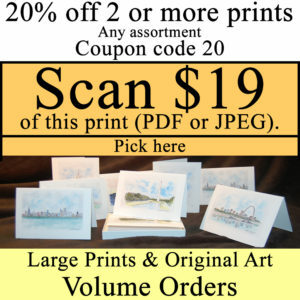 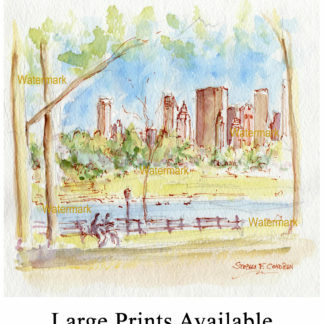 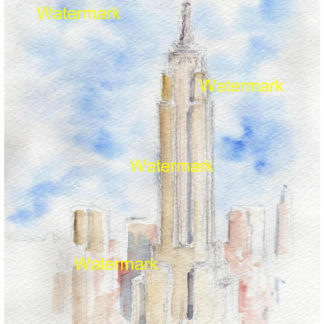 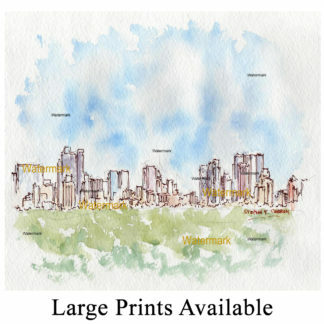 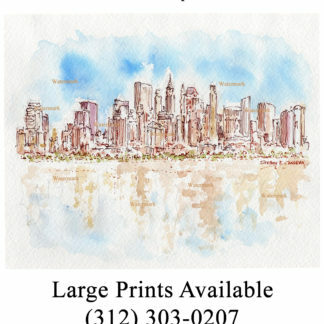 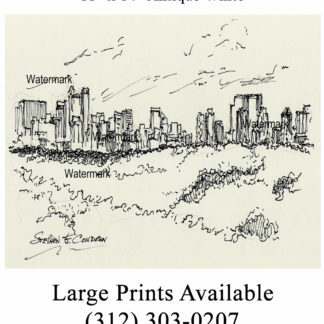 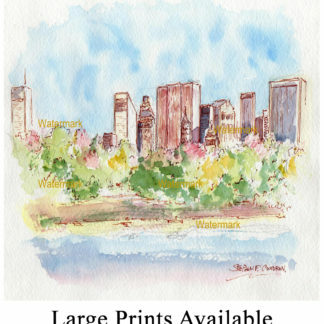 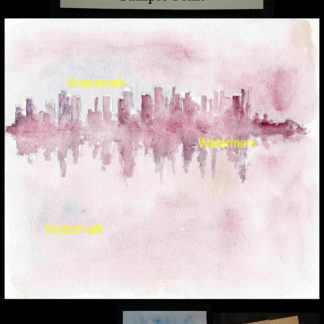 Watercolor of Manhattan skyline from Central Park and Jacqueline Kennedy Reservoir by artist Stephen F. Condren. This spring time view of Central Park in Manhattan offers a lovely view of the trees and greenery that are but a few steps from the residents and visitors to this great city. 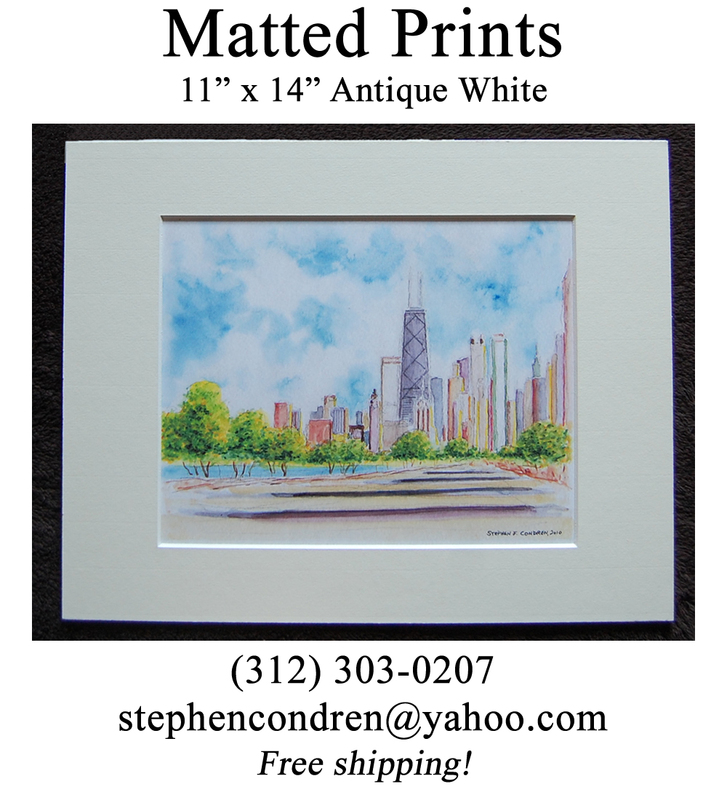 In the background behind you can see the towering skyscrapers adding to this wonderful urban site. 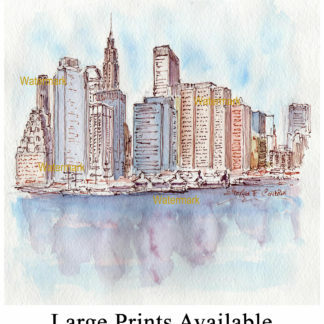 Manhattan Island is a borough of New York City.